Today, we traveled to Shelton, CT to volunteer at the FLL Qualifier, working as technical and research project judges, team ambassadors, photographers, data compilers, and even a DJ! It was such a rewarding experience to see these kids with their robots, and have the chance to help out. Greg taking photos for the qualifier! 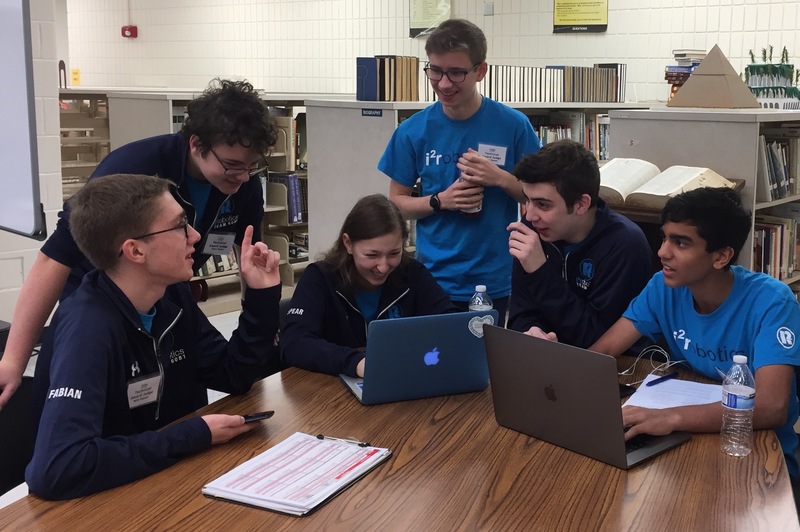 As technical judges, Will, Luke, Neal, Theo, and Nathanael had the opportunity to be part of the behind the scenes judging process that we usually don’t see as team members, and gained valuable insight into how we should present ourselves at competitions. They asked teams questions about their robots and their processes. Most of our team discussing in the judging room! 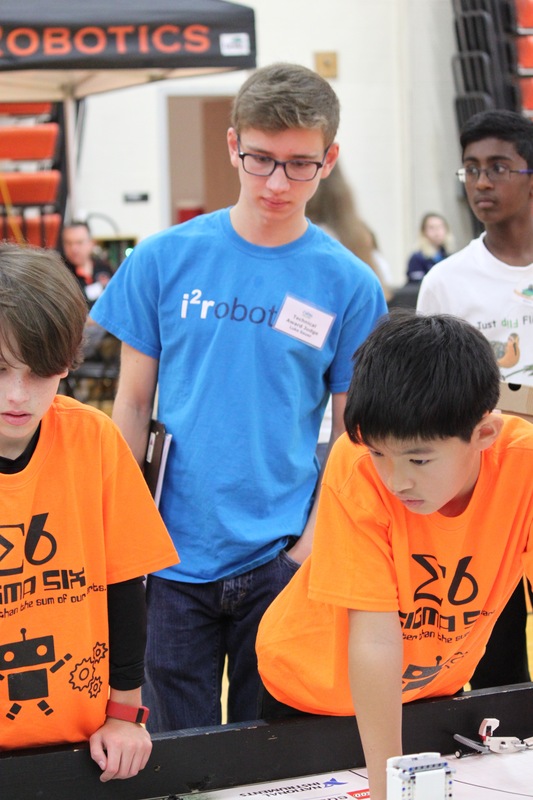 We were able to connect with all the teams at the event, and learn more about their robots! 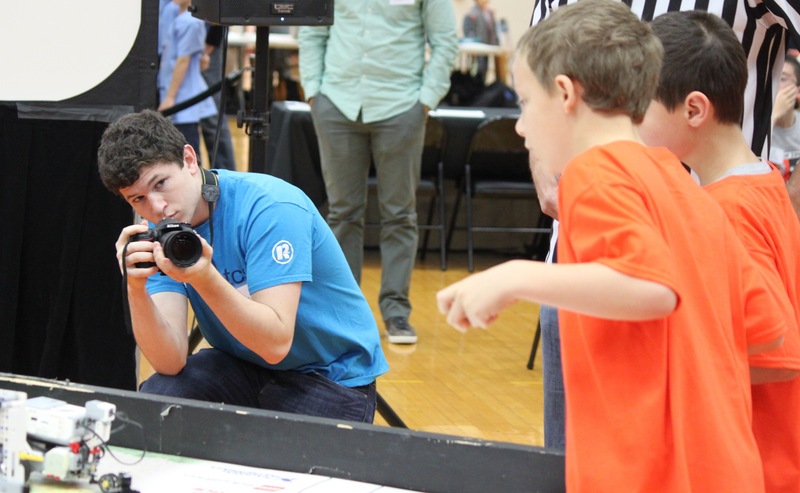 Sigma Six, a local FLL team we have mentored in the past, was present at the event. They improved a lot from last year in both robot performance and research project. We can't wait to continue working with them! Ben, the team ambassador, helped the teams manage their time, and be punctual for their matches and judging appointments. Phoebe entered data from the judges to create a spreadsheet of team rankings, Greg documented the event, and Molly kept the teams positive with a custom playlist. Congratulating FLL teams at the end! 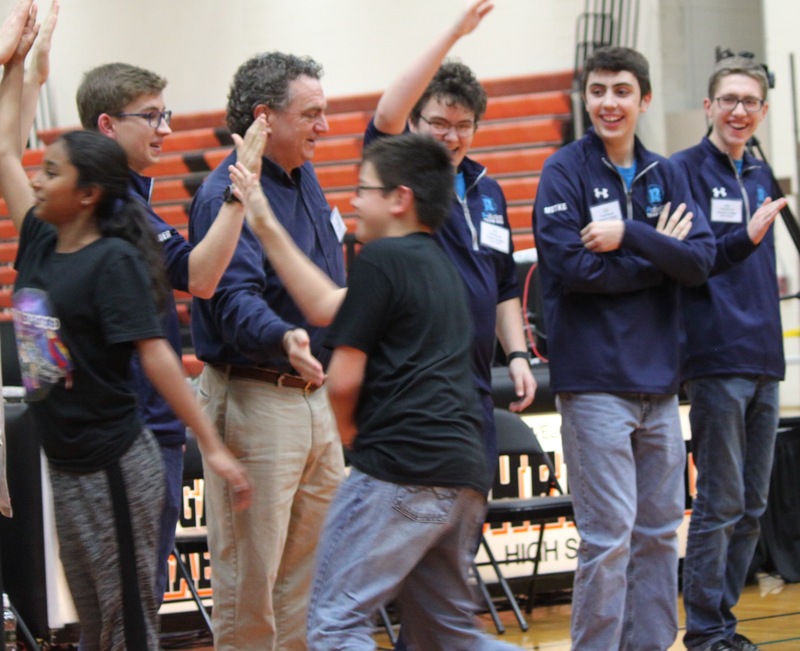 We all had a fantastic time, and we can't wait to work with FLL teams more in the future!